JMS Property Services is a genuine Property Loan Consultant in Surat, Gujarat. We offer our utmost support & assistance for myriad Property Loans like Residential Property Loan, Commercial Property Loan, Home Loan or Loan against Property to mention a few. At JMS Property Services, we work in close association with leading banks like ICICI, HDFC, IndiaBulls and Reliance Bank. Our expert makes sure that all the Terms & Conditions are handled in the friendliest manner. Moreover, we also ensure that all your requirements are in perfect alliance with our services. 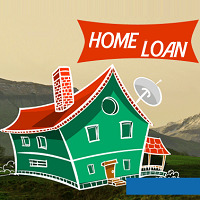 You can avail our loan consultation services as per your won budgetary considerations. JMS Property Services is a genuine Real Estate Agency, known for offering prompt Property Insurance Services to our clients widespread. The most efficient persons employed by us, makes sure that all your requirements are in compliance with our Property Insurance Services. Moreover, we have association with leading insurance agencies, which helps us to settle the associated conditions on a friendlier note. Besides, we are also noted Event Organizers based in Surat. You can avail our services at very moderate rates. The promptness of our services is one of the major factors for our huge reputation in the real estate sector.